Now in its third year running in Ghana, Africa Code Week is instilling digital literacy and coding skills in the young generation to drive sustainable digital learning skills across Ghana. What is Africa Code Week? Africa Code Week(ACW) is a digital skills development that has benefited over 180,000 pupils and 1,500 teachers in Ghana since its inception in 2015. 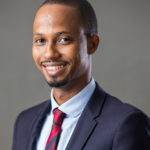 ACW is organised in Ghana with immense partnership from the DreamOval Foundation, the CSR arm of the Ghanaian innovative tech company DreamOval. Across Africa, ACW will not be made possible without a strong partnership with the public, private and nonprofit sectors in each country. These collaborations actively drive the initiative’s ambitious goals and ability to build community capacity in ICT education across Africa. A number of key global partners; UNESCO, Google and the German Federal Ministry of Economic Cooperation and Development (BMZ) supports the initiative. In Ghana. The Ministry of Education and the Ghana Education Service in partnership with the DreamOval Foundation are at the forefront of ACW. A total of 36 African Countries are taking part in this annual digital literacy initiative to introduce children to computer coding and enabling them to write their first line of code. With a goal to empower 70,000+ teachers and positively impact the lives of 2 million young Africans by 2020, ACW is built to be sustainable and provide long-term impact. Students ultimately need direction from their teachers in order to learn to code. It is for this reason ACW is broadly divided into two: Train-The-Trainer and the ACW live training sessions which happen in August and October respectively. The Train-the-Trainer (TTT) sessions form a cornerstone of Africa Code Week’s sustainable impact across the continent by empowering teachers with skills and teaching materials that drive the advance of digital skills in the school curriculum. Train-The-Teacher 2018 sessions took place in Ghana from August 6-9, 2018, in Accra and Kumasi and trained a total of 750 teachers in the aforementioned regions. In October, during Africa Code Week live sessions, thousands of free coding activities for youth aged between 8 to 16 are organised across all 36 participating African Countries. Africa Code Week live began in Ghana on the 17th October through to the 24th of October, 2018 with a target to train up to 130,000 pupils in both Accra and Kumasi in the scratch language developed by MIT. Now in its third year running, the DreamOval Foundation in partnership with SAP, Ghana Education Service, CTSC, Federal Ministry for Economic Cooperation and Development, CAMDEN Education Trust, UNESCO and Youth Mobile have successfully organised another session of the Train-The-Teacher module in Accra and Kumasi. These training sessions were targeted specifically at ICT, Science and Math teachers in public Junior High and Primary Schools. The module began on the 6th of August and ended on the 9th in both cities. In preparation for Africa Code Week, SAP deploys its own teams of skilled volunteers as part of its Corporate Social Responsibility Program. Their mission: to empower 70 000 teachers and 2 million youth with 21st-century digital skills by 2020. These Train-the-Trainer (TTT) sessions help scale the Africa Code Week reach over all the continent by empowering teachers and youth with digital skills. TTT implements these sessions in collaboration with selected organizations in participating countries. How Different are TTT’s this year in Ghana? Master trainers for this year’s Train-The-Teacher module were selected from schools in Accra and Kumasi. These teachers were selected because they displayed an exceptional understanding of Scratch from last year’s event. What ACW is and seeks to achieve. Africa Code Week(ACW) is a continent-wide initiative to spark the interest of African children, teenagers and young adults in software coding. Spearheaded by SAP in 2015 as part of its social investments to drive sustainable growth in Africa, Africa Code Week (ACW) is the story of hundreds of schools, teachers, governments, businesses and nonprofits getting together to give birth to the largest digital literacy initiative ever organized on the African continent. Strong public-private partnerships are the driving force behind the initiative’s ambitious goals and ability to secure effective youth employment interventions across the continent. We are excited about two things – the weather and the fact that Africa Code Week isn’t too far off. Africa Code Week is a digital skills development initiative that has benefitted 1.8 million young Africans which is spearheaded by SAP. Africa Code Week is only possible because of strong partnerships with the public, private and nonprofit sectors in participating African Countries. These partnerships are the driving force behind the initiative’s ambitious goals and ability to build community capacity in ICT education across an entire continent. 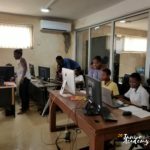 Here are 10 tips about TTTs and Africa Code Week in Ghana you should know. TTT is an abbreviation for Train-The-Teacher. These modules are structured into two-hour training sessions in Scratch for teachers. Teachers will then pass on knowledge gained from these trainings to pupils in their schools during the October event. Who organises TTTs in Ghana? TTT modules are organized by the team from DreamOval Foundation in the run-up to October’s Africa Code Week (ACW). How long have ACW and TTTs been going on in Ghana? Train-The-Teacher Modules and Africa Code Week began in 2016. The first year saw about 350 teachers trained and over 51,00 pupils equipped with knowledge on Scratch – a visual programming language and online community targeted primarily at children. 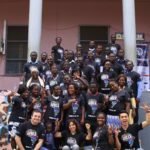 Who sponsors Africa Code Week in Ghana? ACW is an initiative of SAP which is actively supported by key partners such as UNESCO YouthMobile, Google and the German Federal Ministry for Economic Cooperation and Development (BMZ). Which institution in Ghana supports Africa Code Week and TTTs? In Ghana, the Ghana Education Service (GES) supports Africa Code Week and TTTs. The Ministry of Education has also supported the initiative in previous years. How many teachers and students have been trained since 2016. TTT modules have trained over 1,500 teachers. These teachers have trained over 180,000 pupils in Accra and Kumasi. Do TTTs and ACW occur in all regions in Ghana? Presently, TTTs and ACW occur in Accra and Kumasi with plans of expanding to other regions. How many pupils and teachers were trained in 2017? August 2017 saw 1,717 teachers in trained to use Scratch. These teachers trained over 130,000 students during ACW in October. Who is eligible to be trained in TTTs? The primary focus of TTT is to train ICT teachers to teach their pupils. However, teachers in other subjects are sometimes admitted. Are females a part of the training? A resounding yes! In 2017, 45% of pupils trained during Africa Code week were females.